How To Transfer Rs. 1 From Axis Pay UPI? Download AXIS Pay UPI App From here . After Opening The App Select mobile Number And Registered Sim. Enter Your Name And Choose Any VPA Address. Set A 6 Dit App Password. Done You have Completed The Registration. Now Back On Homepage And Transfer rs, 1 to Any Vpa Address to get Rs. 50 Back . After Adding Account Choose Your Registered Account From my Account list. 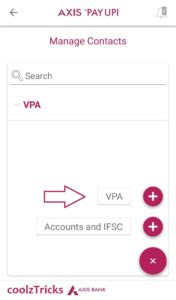 Now Click on receiver’s Account And Add Any of Your friends’s VPA Adress. You Will Receive Your Free Rs.50 Shortly In Bank Account. 1. 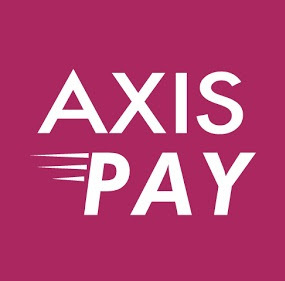 The Offer is valid for all Axis Pay new users who would download, register and create VPA on the app. 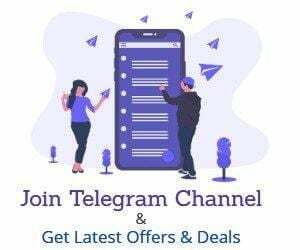 The user base includes Axis and Non-Axis account customers who would be in the eligible base and were sent the official communication with respect of the offer by email/SMS. 2. The Axis Mobile banking active user base and Internet banking active user base would be in the eligible base basis the official communication with respect of the offer by email/SMS. 3. User is required to download, register, login and create the VPA on Axis Pay followed by linking of an account to that VPA and verifying the account during the offer period in order to be eligible for the offer. 4. The user should have done his first transaction from his VPA linked to Axis Pay within 21st Jan, 2017 to 5th Nov 2017. Any transaction done before and after the campaign date wouldn’t be eligible. 5. Only first transaction from the user’s app would be eligible for the offer. If the user is already registered and has done transactions before, such user wouldn’t be eligible. If the user is already registered but performs his first transaction during the campaign period, such user would be eligible. 6. This offer is non-transferrable to any other person and cannot be exchanged with any other offer. 7. The Eligible User would be coming across the offer at Google Play store page, Facebook, Twitter etc. 8. Credit would be given to the users within a month after the campaign completion as per the campaign data which would include those users who have done his/her first transaction during the offer period. Download e-batuaa from play store and link with your aadhar card with referal code 9709793475,And earn 20…..
Download tez app from given link. 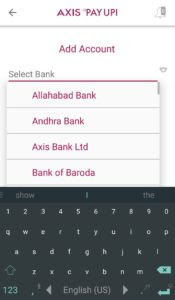 Create upi id by adding bank.. Send Rs1 to me(SUDHANSHU live).